Boneseed (Chrysanthemoides monilifera ssp. monilifera) is one of the worst weeds in Australia because of its severe environmental impacts. This killer is invasive and has a threatening potential to spread rapidly. 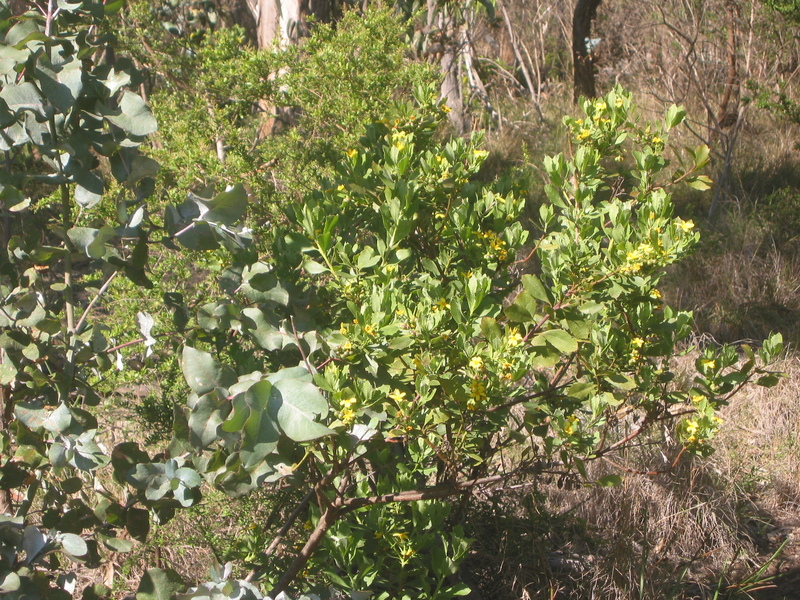 Boneseed is a declared noxious weed in Victoria – it endangers rare and threatened plants. Perhaps the most worrying aspect of Boneseed is that it thrives in coastal areas. It favours sandy soils and tolerates saline conditions. Boneseed is recognizable by its erect, woody, evergreen shrub that can grow to 3m. The fleshy leaves are an elongated oval shape with toothed edges. When flowering, they have yellow daisy petals that grow in clusters. Boneseed also has round, green and black berries, each containing a seed. – Can restrict access to beaches, parks and trails. It is for these reasons, along with the alarming fact that it has no natural enemies in Australia, that Boneseed has so rapidly invaded many areas of Victoria. It is now in mid-winter that the plant flowers and it is NOW that you need to take control before the killer takes over your garden. What can you do to protect your area from Boneseed? Boneseed is difficult to clear, it is very hardy and can withstand salt spray. Report an infestation to your local weeds officer. It is easy to join a local Landcare of Coastcare group to remove Boneseed. Contact the State Landcare Coordinator on (03) 96378033 or see – http://landcarevic.net.au/regions. More information about weeds and how to protect the coast from them is available here. Below is a video about the importance of protecting our coast. Information for this blog came from the Victorian Government, Victorian Department of Primary Industries and National Bitou Bush and Boneseed Management Group flyer.